After rain falls during the winter in Minnesota, you must watch your step, but you get this awesome shine on top of the snow that I attempted to capture as best as I could. If you look closely, there is a green traffic sign, with an arrow pointing down the hill and a One Way sign on the other side of the road. 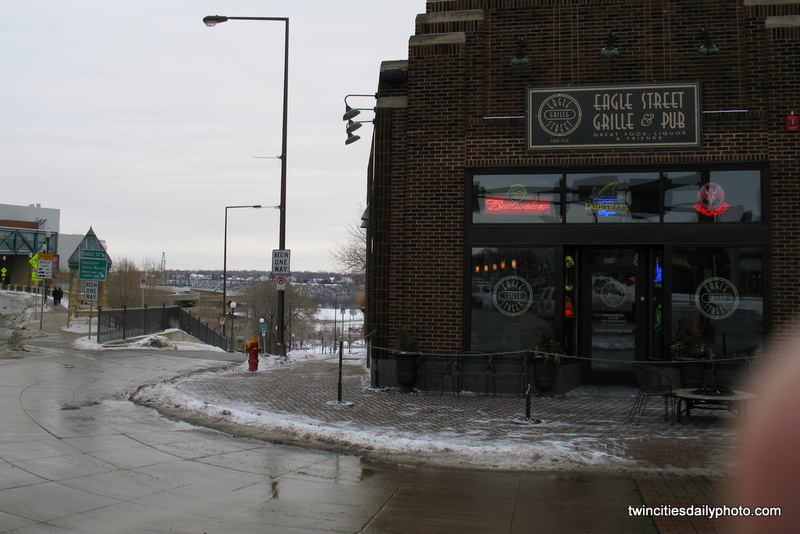 The road is called Eagle Street with an appropriately named Eagle Street Grill & Pub. 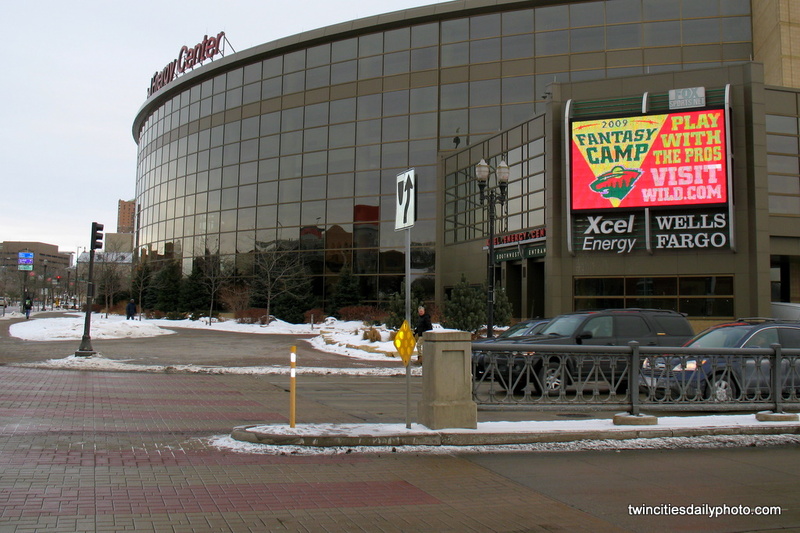 A side view of the glass front of the Xcel Energy Center, home of the Minnesota Wild hockey team. A quick glance at the three small circles inside of a larger circle and you may think this is some fancy new logo for a game, toy or a store. 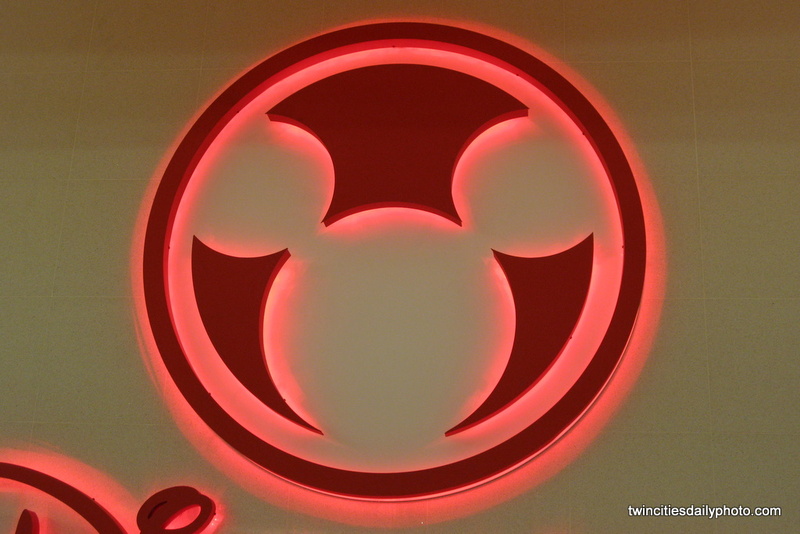 True, it is a logo, but it's a very well known logo. Do you see it now? When you figure it out, it's obvious what it is. 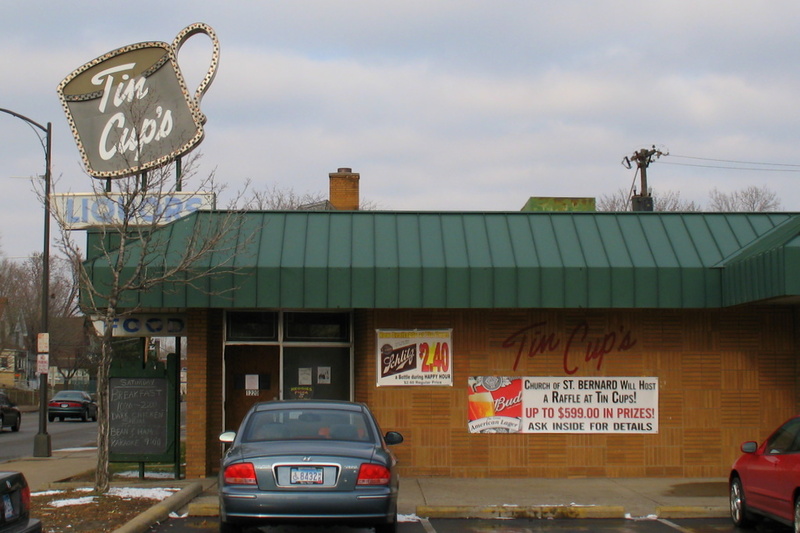 Back on December 5, 2008, I posted a close up photo of the Tin Cups sign that can be found on Rice Street and Maryland Avenue in St Paul. Today I am posting a broader view of Tin Cups. Shortly after I took yesterday's photo, someone from the neighborhood came walking into Baker Playground with a shovel slung over his right shoulder. I didn't stick around much longer after taking this photo, but I would imagine he was there to ice skate. 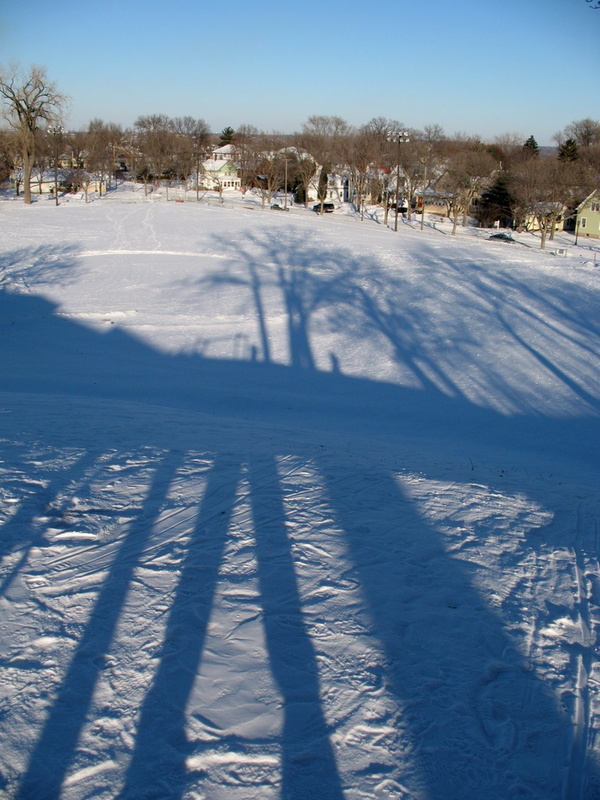 From high atop the best snow sliding hill at Baker Playground in St Paul's Westside neighborhood the trees and the low on the horizon sun cast shadows longer than a football field. As I stand there and look at the field below, in my youth growing up about a block from the playground, I can recall the field in the winter time with an ice rink laid out. Right next to the hockey rink was a very large oval for speed skating. 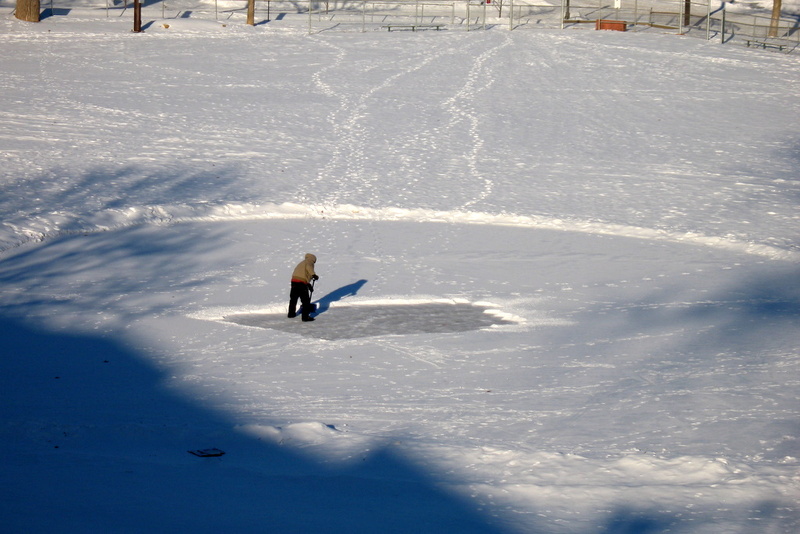 Today I can barely make out a circle covered with snow that looks like it could be an ice rink. I'm sure budget cuts may come into play for the changes, or it's what the neighborhood has become. I received a contribution photo from swc over the weekend. 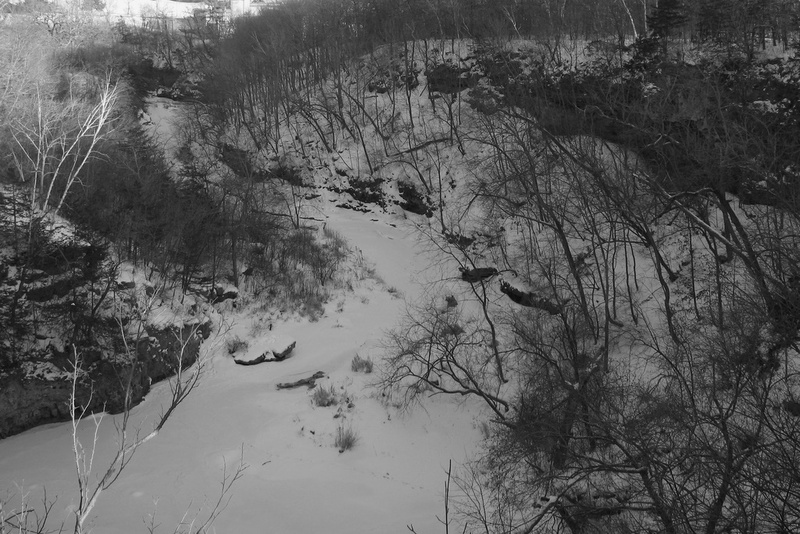 On January 16, I posted a black and white photo of the Vermillion River while standing on a walking path bridge facing west. The contribution photo is from the exact same location, facing west, but taking during the peak of summer. One can hardly tell these are indeed the same location. 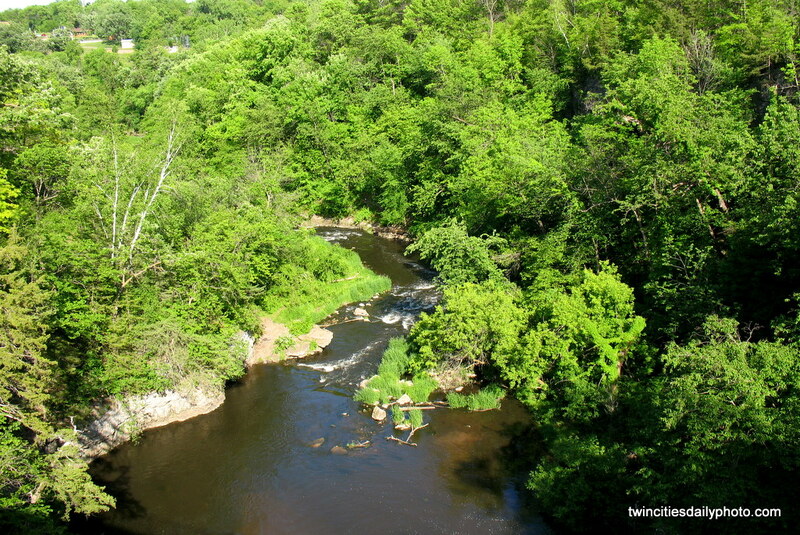 The river bank on the left is fairly easy to make out in both photos. Also on the left bank, there is a crop of birch trees, those are, in my account, the easiest to make out between both season photos. Just a few photos of the fans, the announcers, and the view from the camera men. 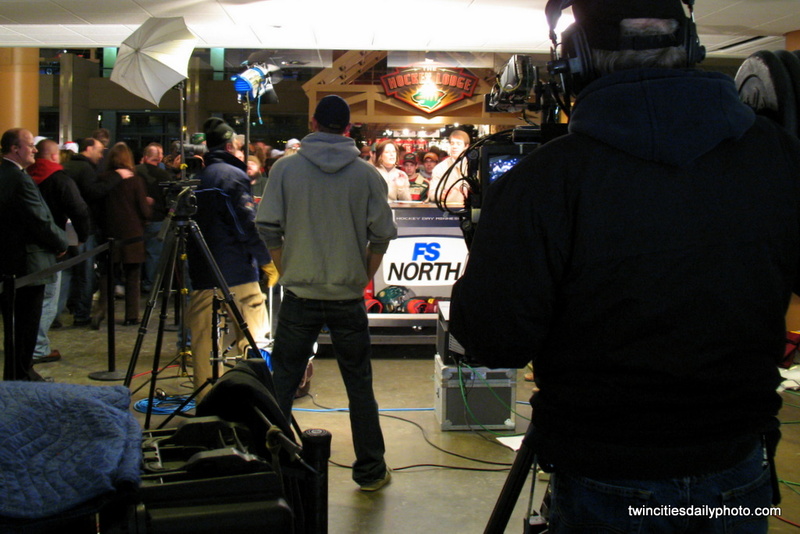 When the Minnesota Wild hockey games are broadcast on FS North, the TV station will host their game coverage from the Xcel Energy Center. I always love watching the people behind the announcers. The things that some of them do are priceless. I tried to get the guy leaning over making faces behind the announcers from a better angle than I was able to get. He was going on and on for three to four minutes with his creativeness. 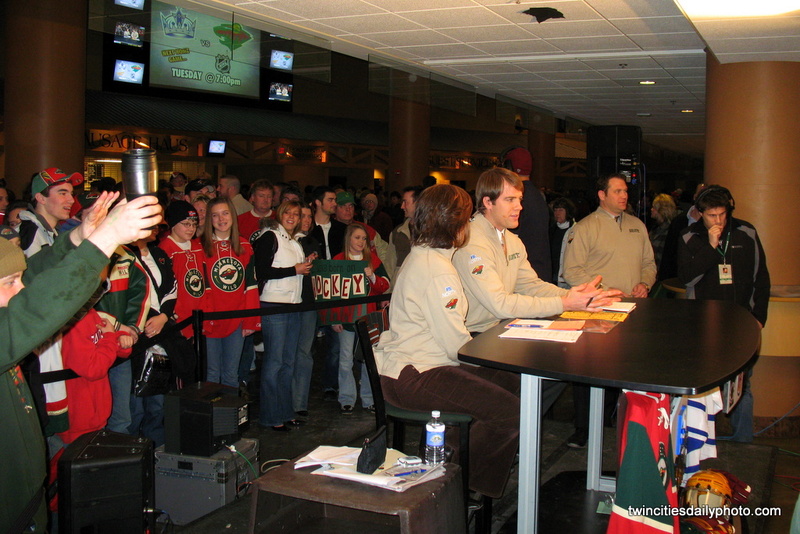 These photos were taken on Hockey Day Minnesota 2009 at the end of the Wild vs Anaheim Ducks. The game was near the end of a full day of hockey programming, including a segment from the solders in Iraq from Duluth and St Paul divisions in a game of floor hockey. 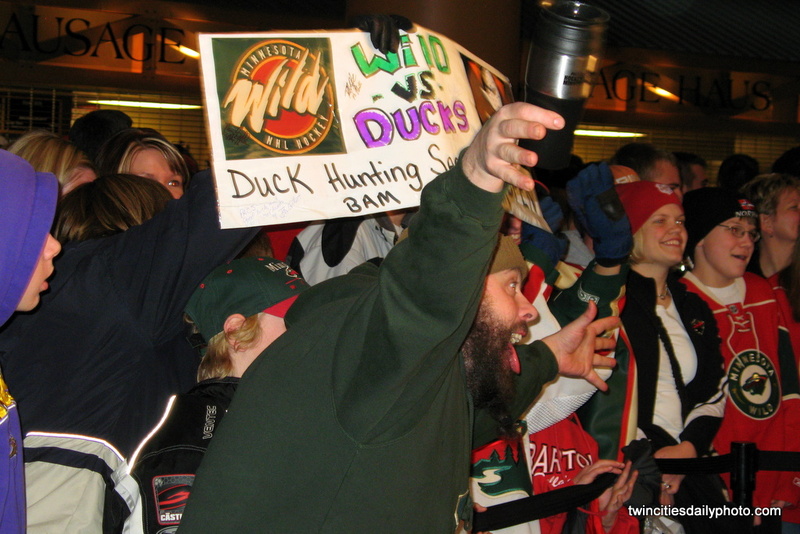 That was a great idea to include those from Minnesota in such an unusual place to host a hockey game. The current temperature at the time of this posting is -19F degrees. They are predicting -22F by morning. 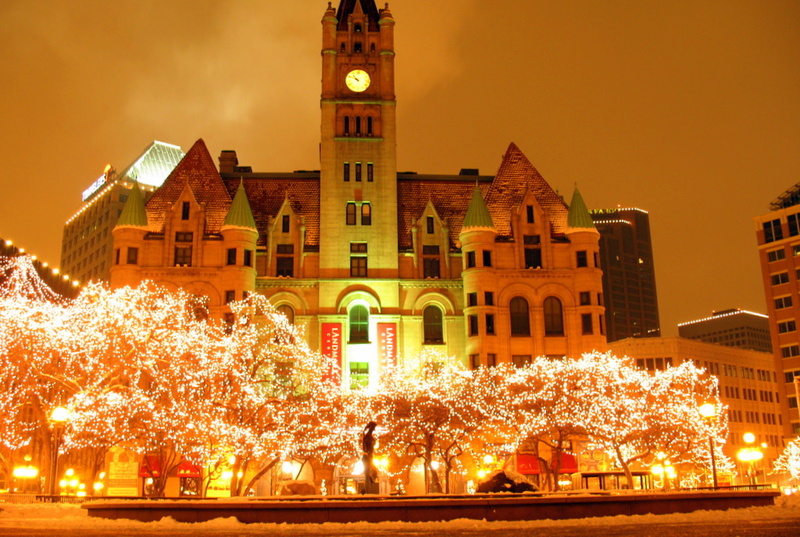 The Twin Cities has been below 0F degrees since Tuesday around midnight. The good news is, we should go above 0F sometime in the after noon on Friday. That will be three and a half days of sub-zero temperatures. 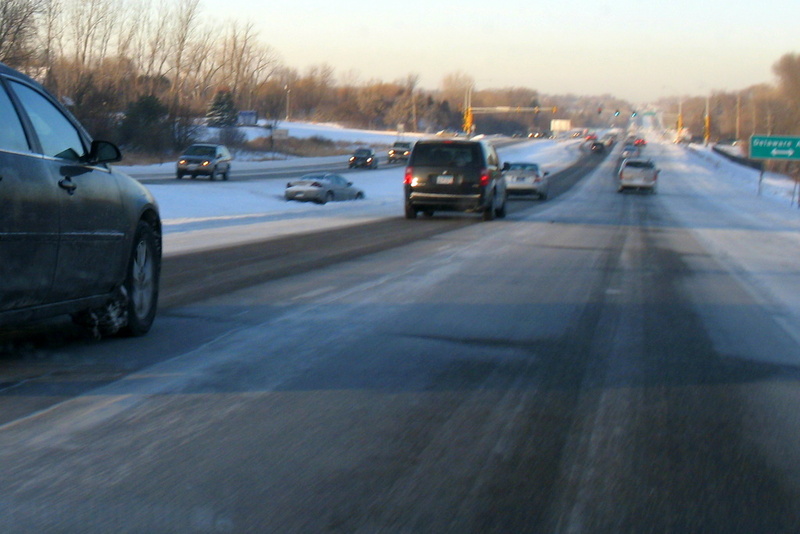 This kind of cold temperatures does have a big effect on the state of Minnesota. Many schools close or delay their start times by a couple of hours [I believe to let the air temps warm up a bit before sending the kids outdoors]. 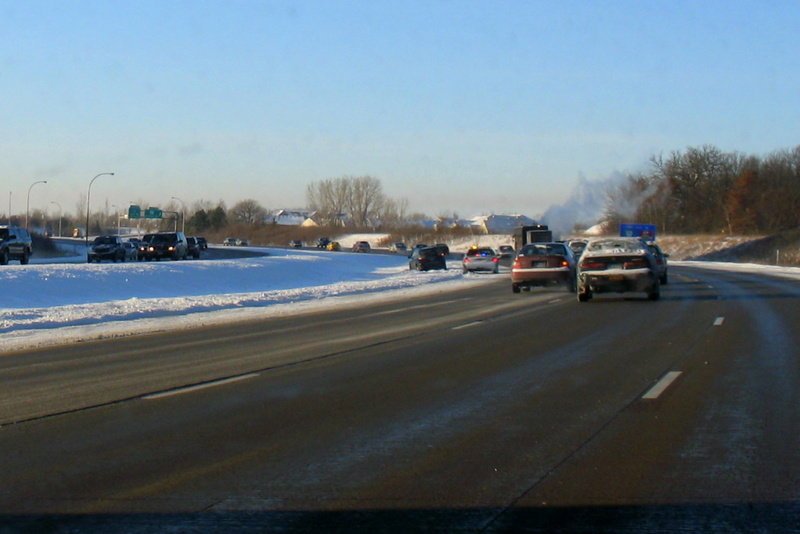 Travel is slower due to the exhaust fumes from the vehicles freezing on the roads creating "black ice". Please send the "fever" the Earth has to Minnesota. For those of you who have no morning commute, I am jealous. 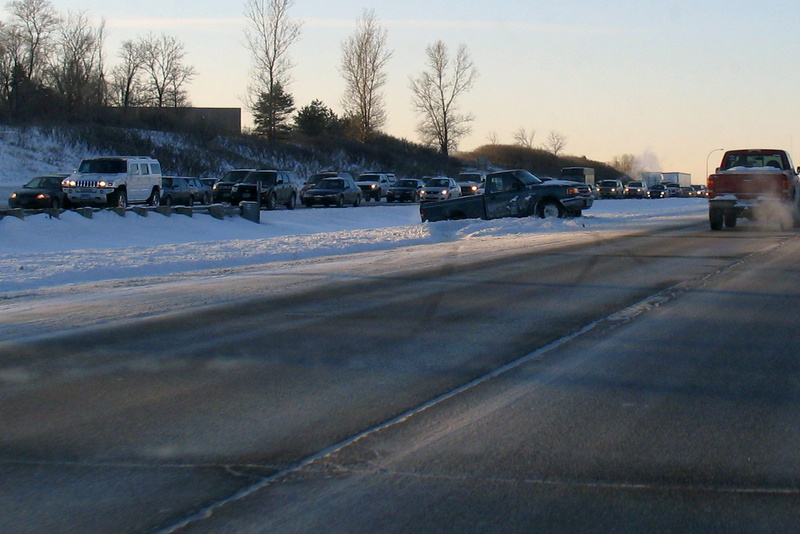 For those who commute in the Twin Cities Metro Area, Tuesday was a joy. My 23 mile venture to work today was a bit different after yesterday's snowfall and this mornings wake up temperature of -14 F. Only took me an extra 30 minutes, but I have a few alternate routes I can take once I am over the river bridge. The first five miles of my commute took me about 40 minutes, the last 18 miles was much quicker. After passing four cars in the ditch in the first four miles of my trip I decided to get my camera out for some photos as I was expecting more. 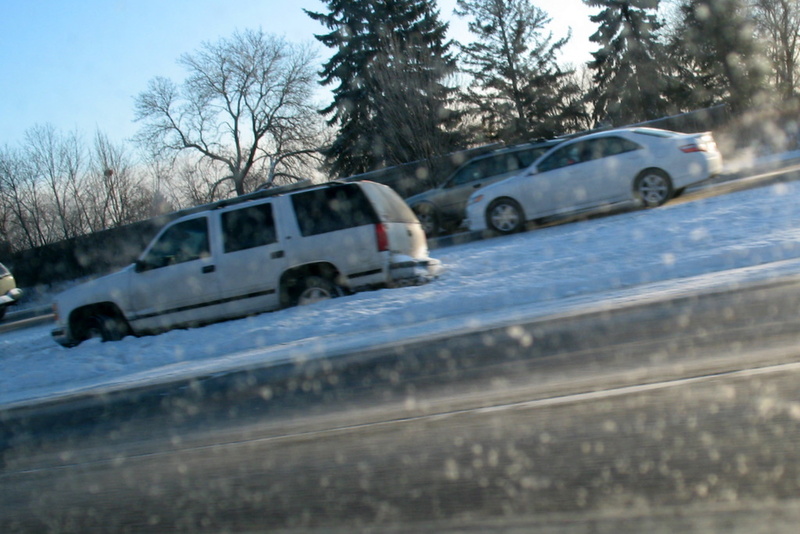 I personally saw 13 cars in the ditch today, three of them were over turned. 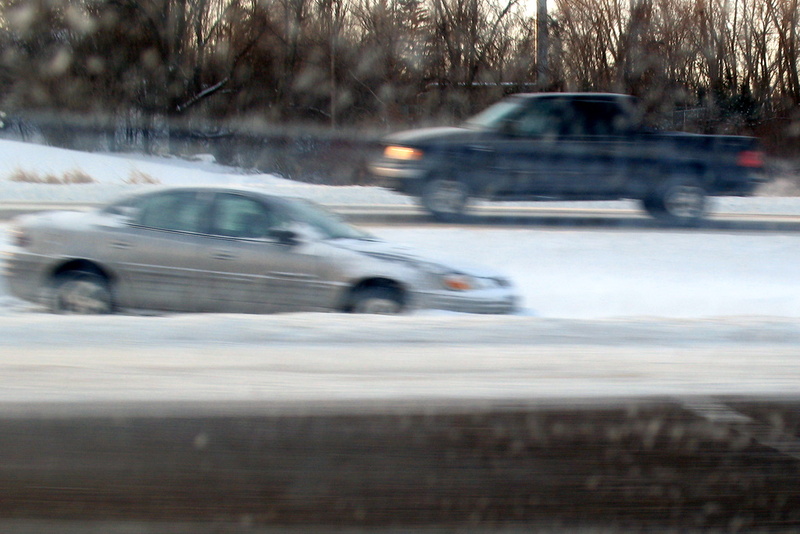 Most of these are poor quality shots, but I had to drive a bit more cautious today with the slippery conditions. 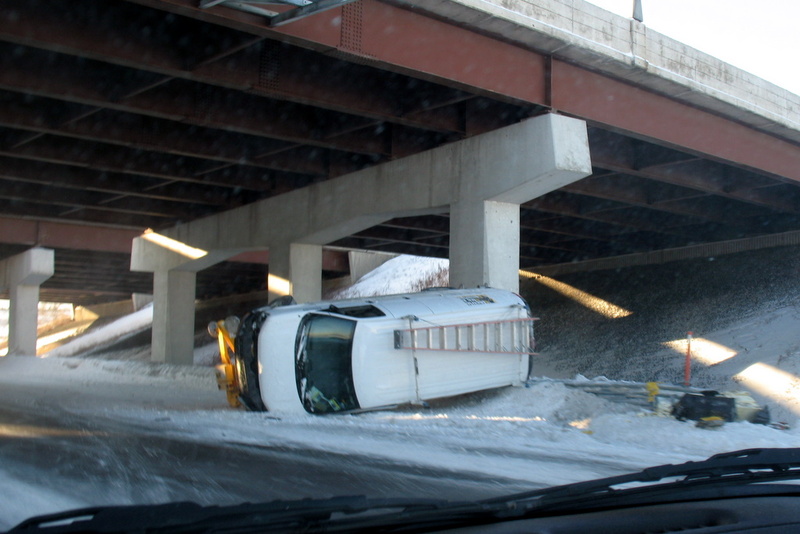 From the news reports, there was 360 accidents reported today. 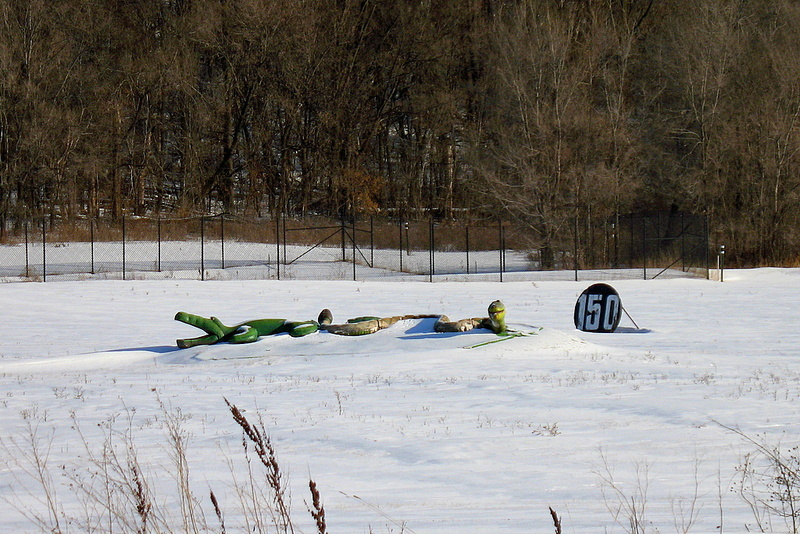 I'm guessing that number includes the spin outs and cars in the ditch too? That is a very high number, even with the snow. 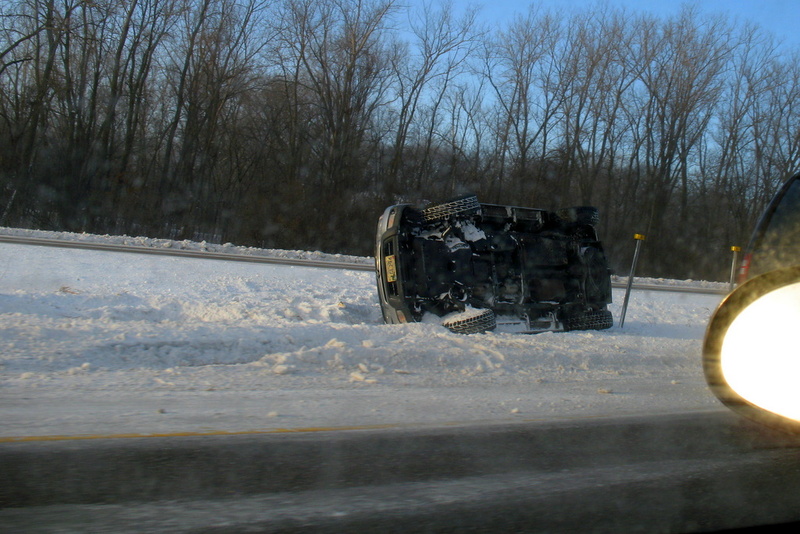 The sudden drop in below zero temperatures really forced people to slow down, or at least those who realized it before it was too late. 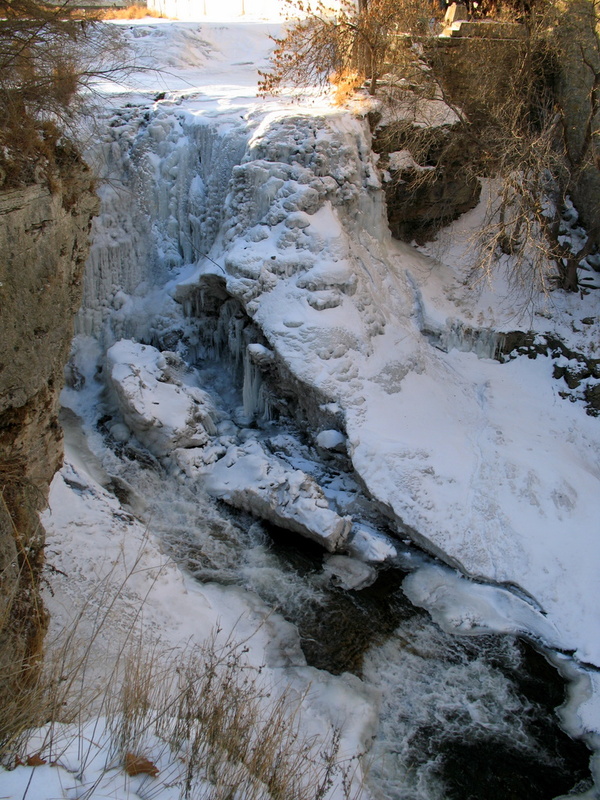 As I mentioned in yesterday's post, I made my first winter time visit to the Vermillion Falls in Hastings. Today I am posting the lower portion of the falls where there is an observation platform to view the falls from a couple of different vantage points. Here is the same view from the fall of 2006 with out any ice. The difference between the two seasons is massive. If you look closely at the frozen waters, you can clearly see open waters in the bottom right corner. Water is currently flowing over the falls, though you really need a semi clear patch of ice to see the movement of the falling water. 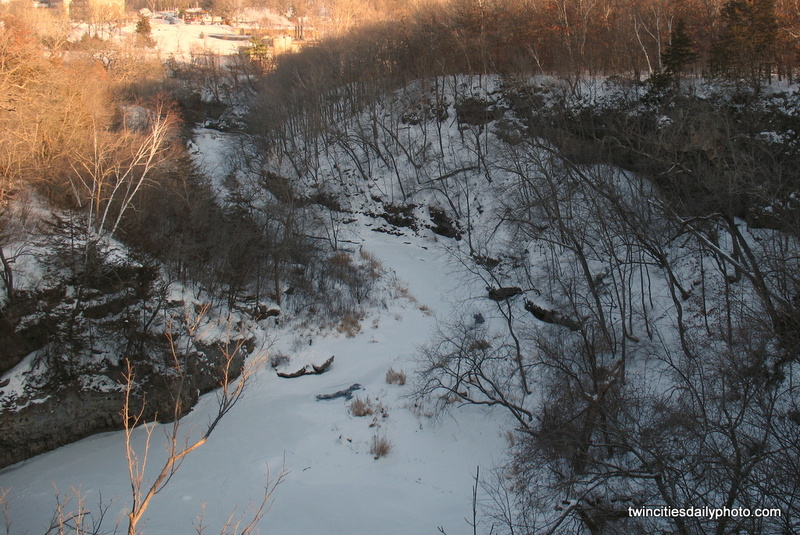 This is the top portion of the Vermillion Falls in Hastings, which lies next to the Hastings Flour Mill. 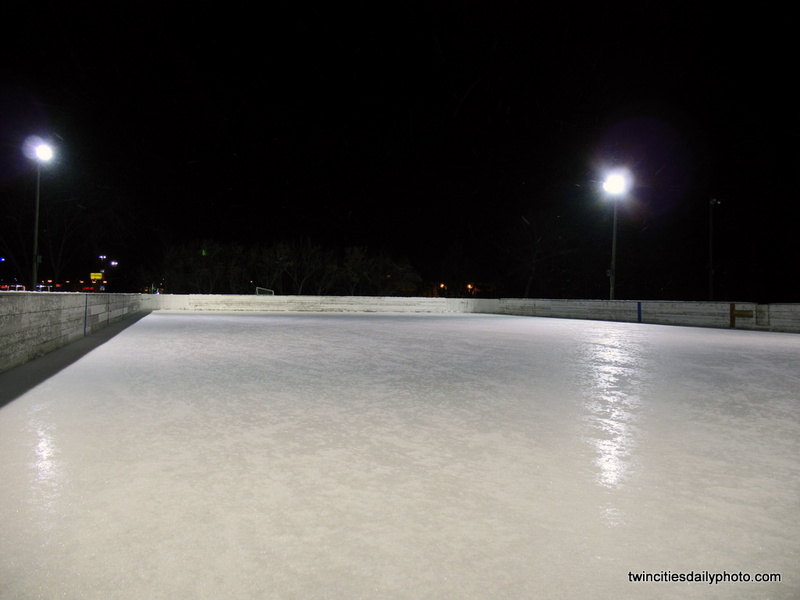 I've been here many times during the warmer months of the year, but have never made a winter stop here. I had my chance this past week and it was quite a site to see. I'll post more photos during this coming week from this location. It surely is quite a difference with the top layer frozen over. There is water flowing underneath the ice. 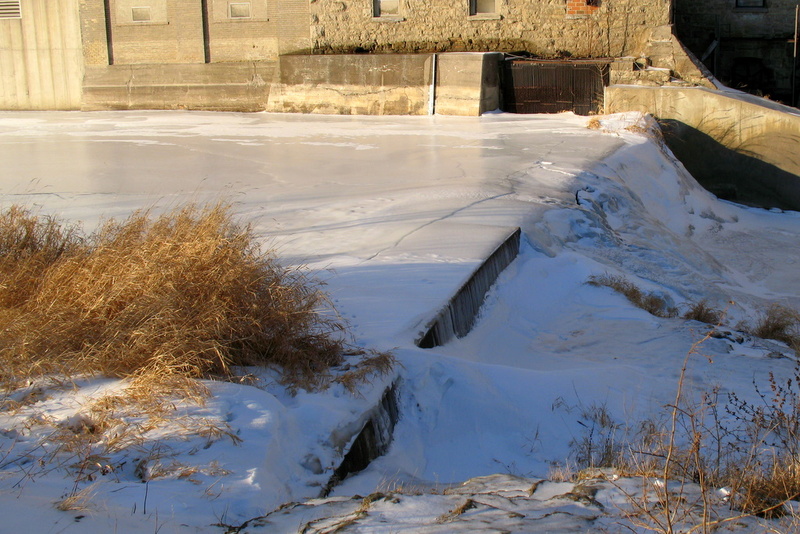 In some areas, the ice was thin enough to see the water flowing behind it. It was quite a site to see. 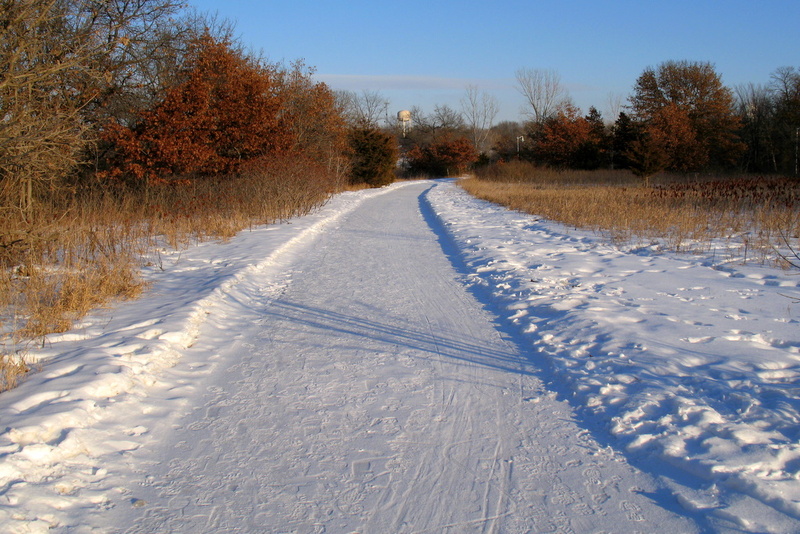 Those who like to walk outdoors to keep fit have plenty of walking paths to choose from in the Twin Cities. There are miles and miles of them woven around the neighborhoods. The winter months however can play a bit of a challenge to the body with the colder temps, the snow, the cold temps, the ice, the frigid cold temperatures....did I mention how cold it can get here? It should be of some comfort to you winter walkers that the walking paths are cleared of snow, keeping it somewhat safe to walk on. 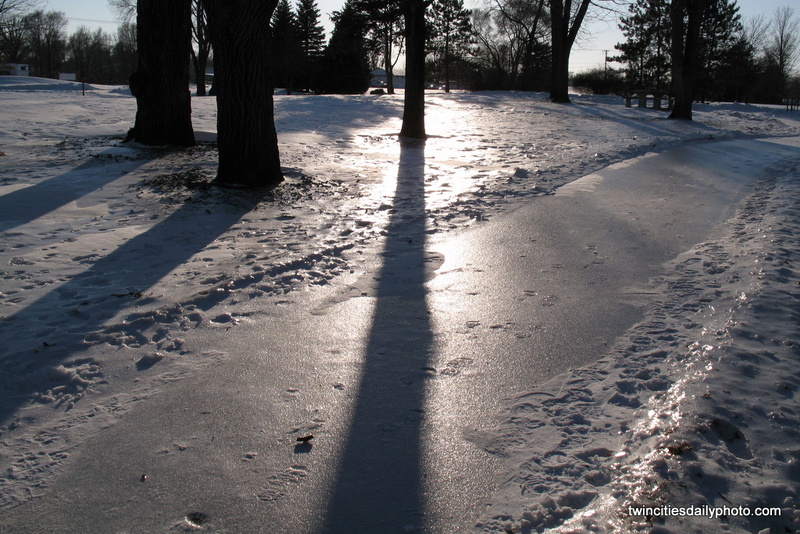 Granted, the ice is still a bit of an issue, so keep a keen eye out while you walk down the wintry path. I've posted a couple other views of the Hastings Bridge from this vantage point in the past: October 26, 2006 and December 7, 2006 Both photos had been taken in the fall season. 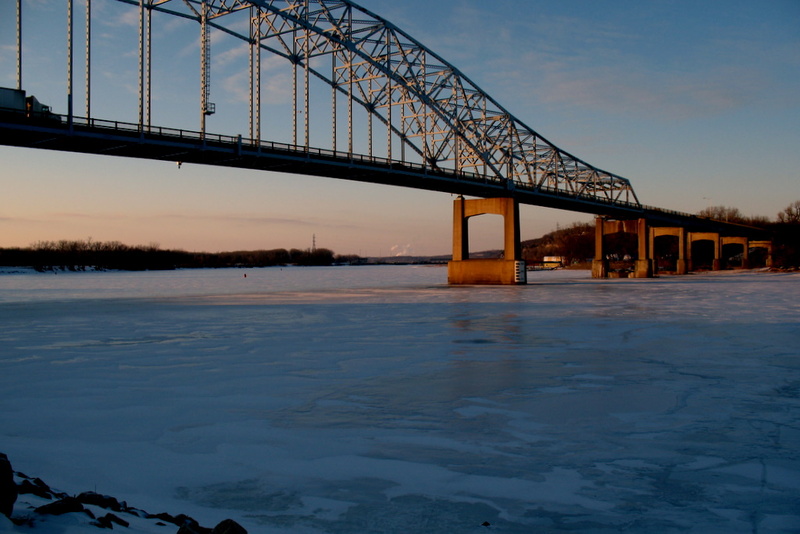 I made a return visit this week to the Hasting Bridge and the frozen Mississippi River. 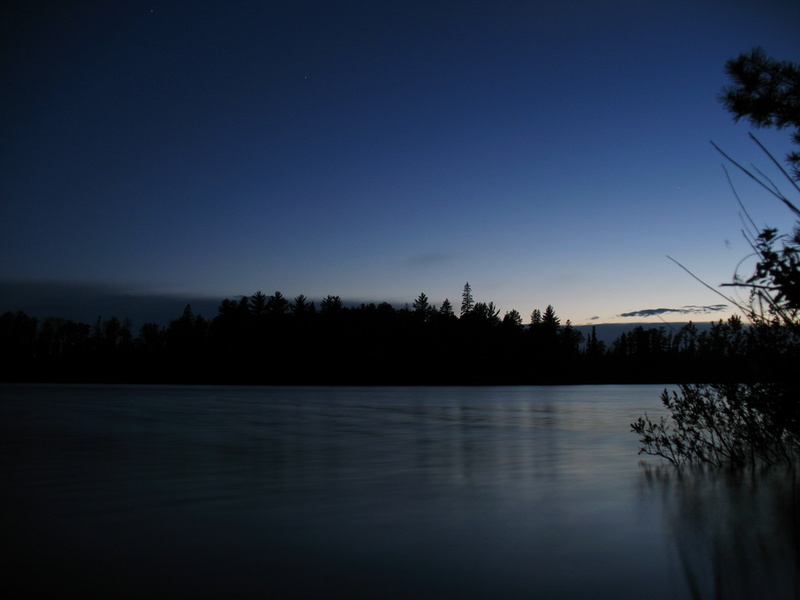 It was really a quiet place to be in the dead sound that winter can cause. The top layer of water was frozen, not a sound of water flowing. It may look like sturdy layer of ice, but with the moving waters underneath, you would be a fool to venture out onto the ice. 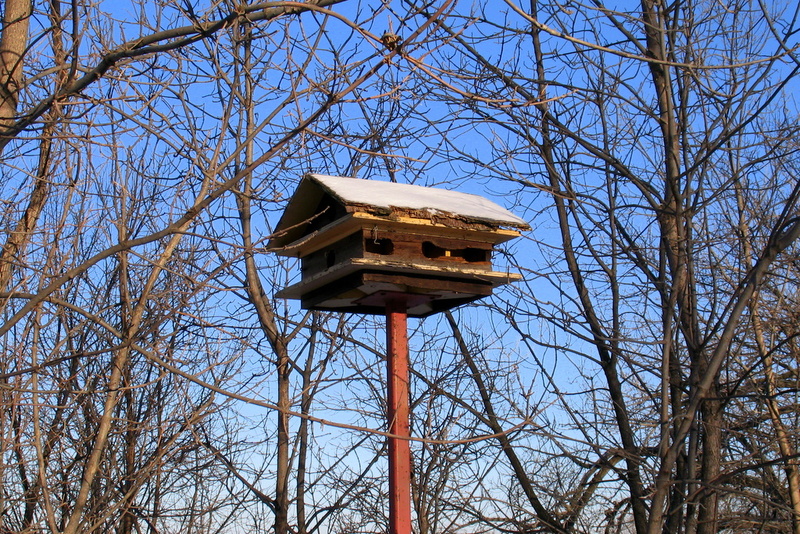 Yes, even in the harsh winter, birds need a place to call home. This little warming house can be found at Baker Playground in St Paul on the West Side neighborhood. I recall the side of this building being white with a painting of the Italian gondola painted on the wall. Instead, today I see the brick a dark red with a metal cutout of a gondola painted in black with gold trim. The place looks like it's had a recent face lift, but the Ma Ma's Pizza sign still looks like the original sign that I can remember. 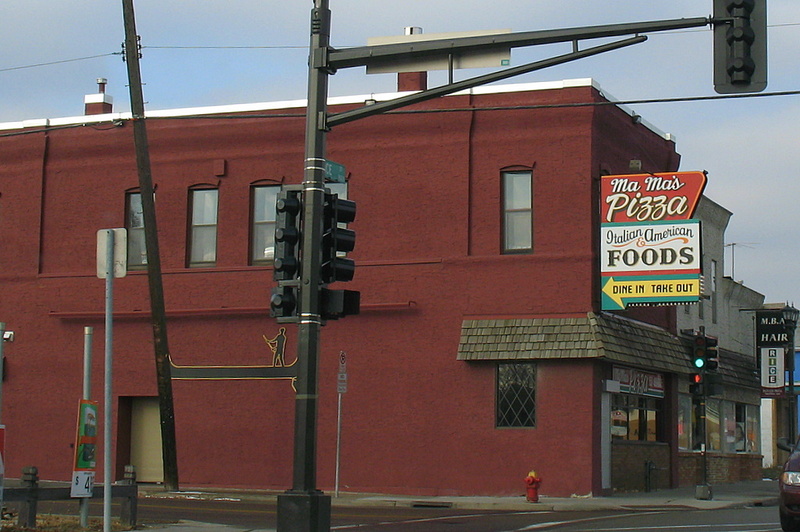 Is the food good at Ma Ma's Pizza on Rice Street in St Paul? I have no memories of eating there, but as close as it was to my grandma's house, I had to have eaten food from there at least once as a young boy. 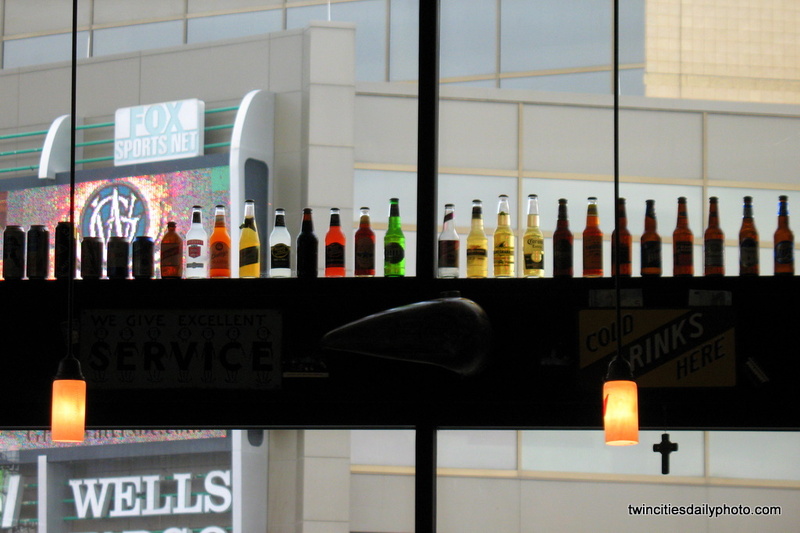 I'm coming close to three years this coming march of posting photos to the Twin Cities Daily Photo and the biggest problem I've run into is looking through my stock of photos that I have taken. There always pops a question into my mind....have I posted this photo before or not? This is one of those photos that I swear I've posted before, but I cannot find a trace of it in the past few months of archives. It's really a strange problem to have. 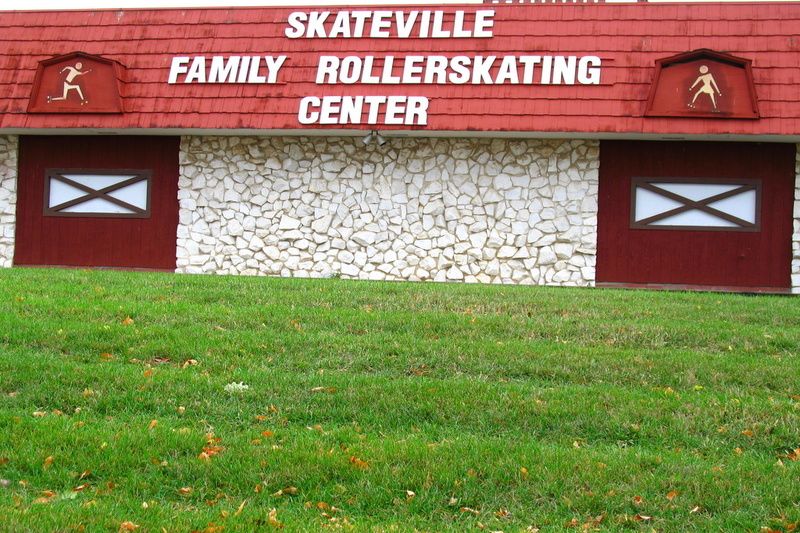 However, if I have not posted a photo about Skateville Family Rollerskating Center in Burnsville this will be a new location I've taken a photo of. It was in the fall of 2008 as there is grass, but now snow yet to fall and it was before I took my Seattle trip. A few weeks ago, I was being adventurous, taking some night time photos while driving....gasp! Trust me, there is very little traffic where I was for this one. You never really know what you're going to get while behind the wheel taking photos. Though, I must admit, it is MUCH easier to taking photos in a moving vehicle when you are the passenger. 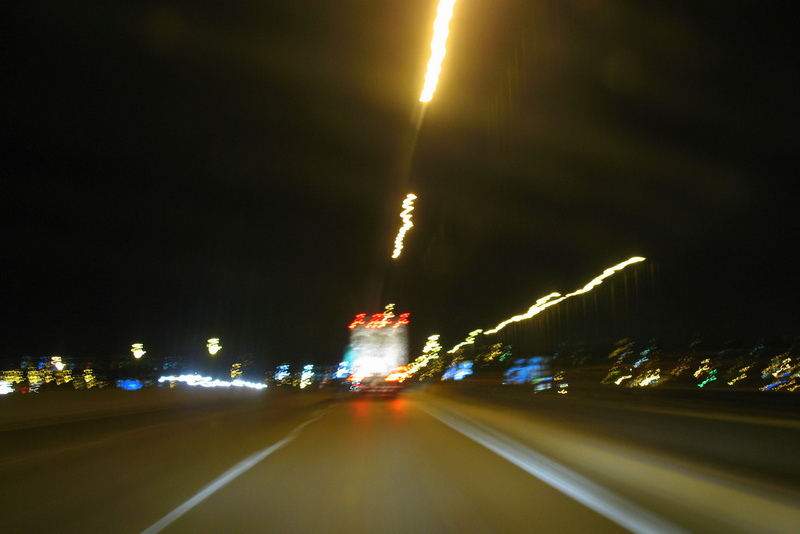 I did like how this one turned out while driving behind a semi, fairly straight lines, streaks of lights in many colors.